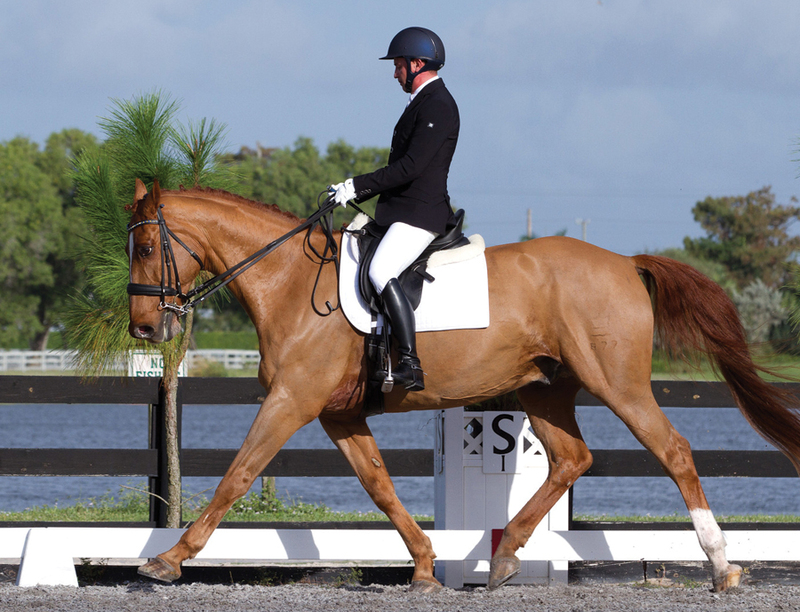 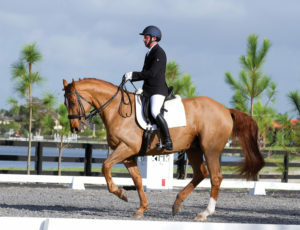 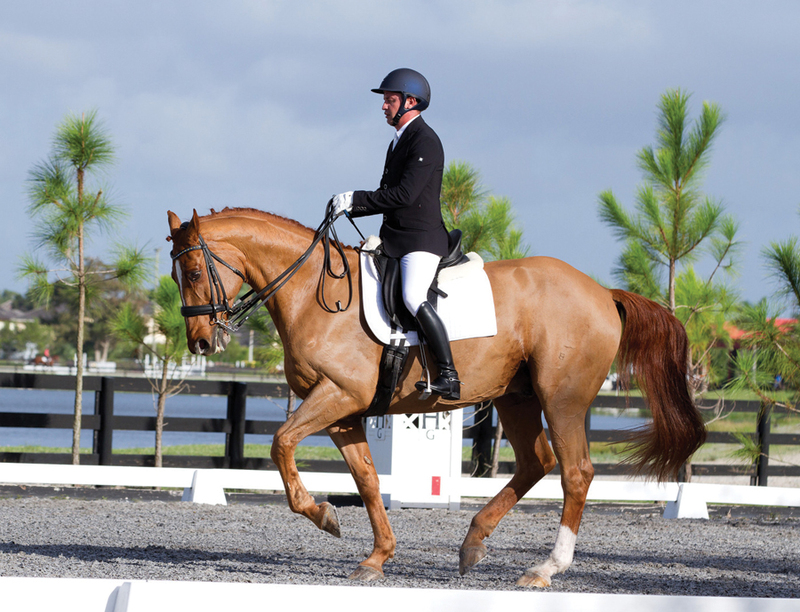 Legacy Farms of Jupiter is proud to offer hunt seat and dressage lessons for riders of all levels, from beginner to advanced. 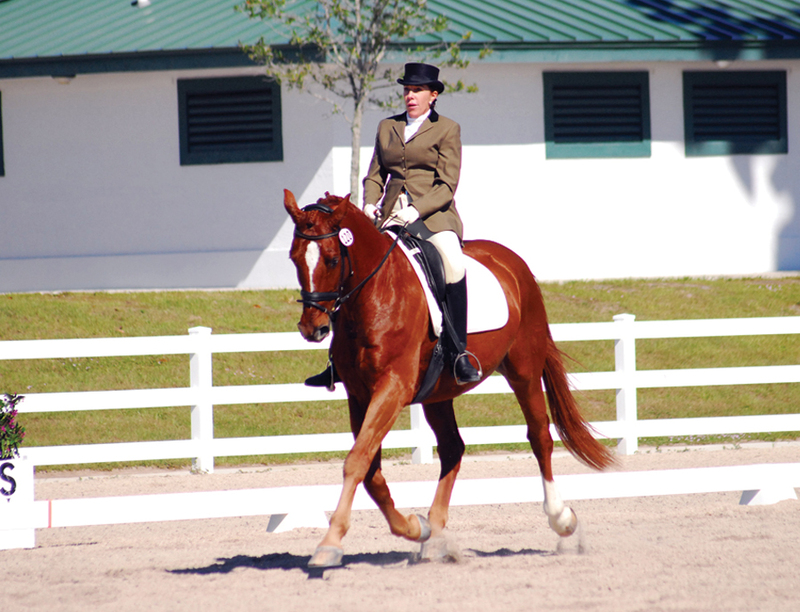 Ride your own horse or one of our well-trained schoolmasters. Each lesson focuses on safety and correct, classical training and riding. 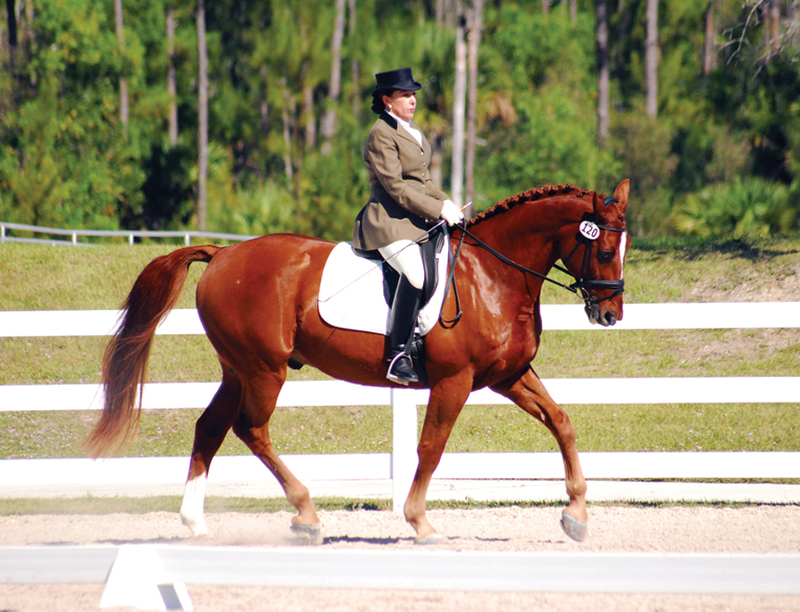 Gain confidence to excel in your daily riding and in the show ring. Our aim is to help you reach your goals in a friendly atmosphere. 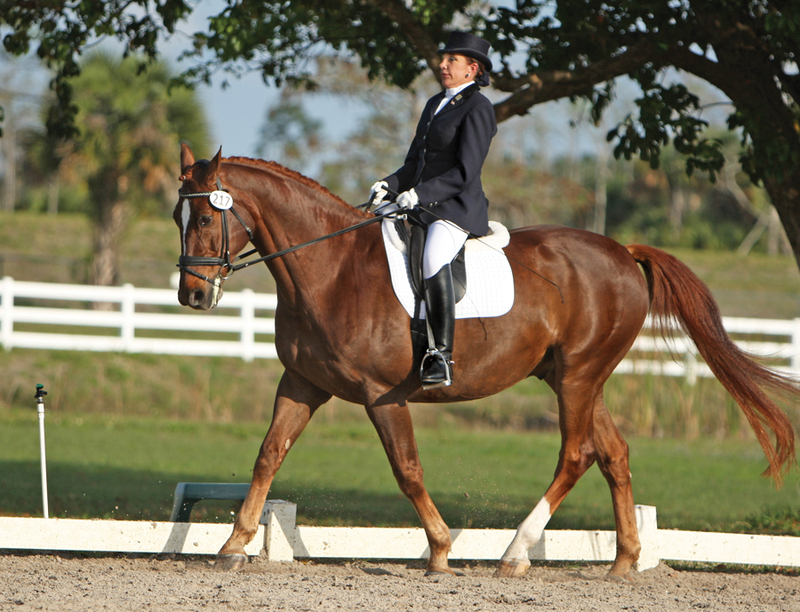 Lisa Berger has 20 years of experience working with horses in dressage, hunters, eventing, driving and western, including horsemanship. 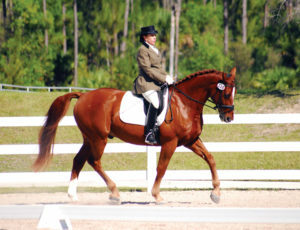 Her show ring success is extensive, including a blue ribbon at her very first dressage show, the Palm Beach Dressage Derby. 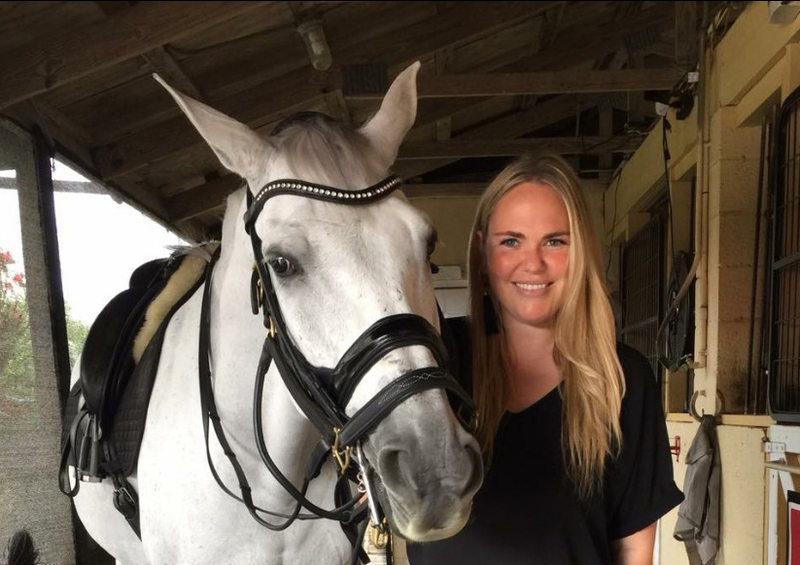 Lisa’s true passion is bringing horses to the next generation. 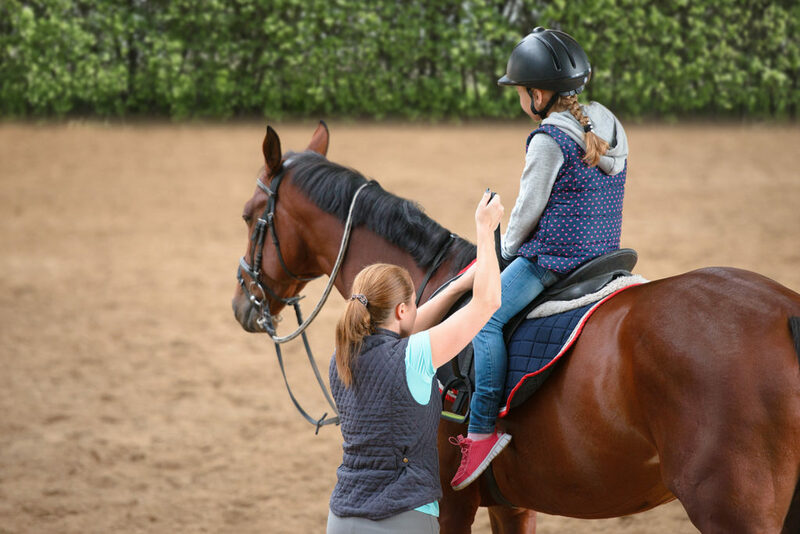 She loves working with children and helping them find joy in riding and caring for their horses. 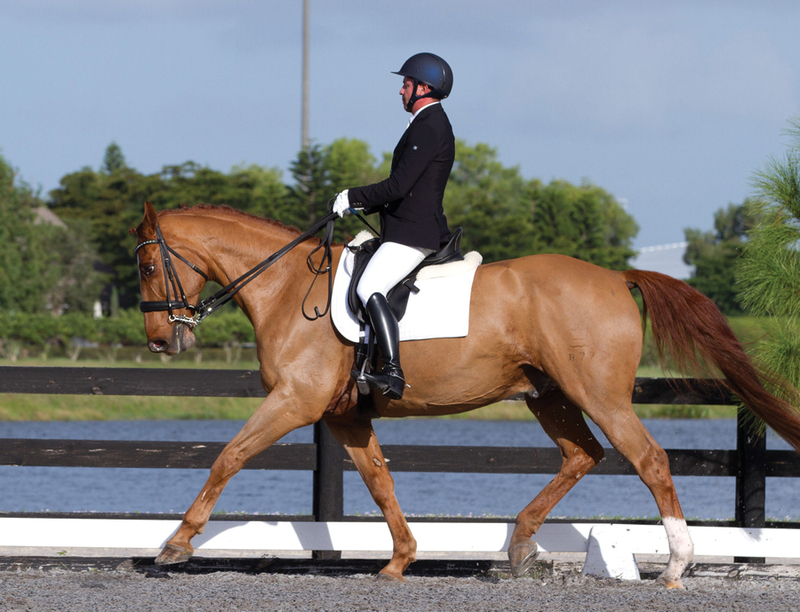 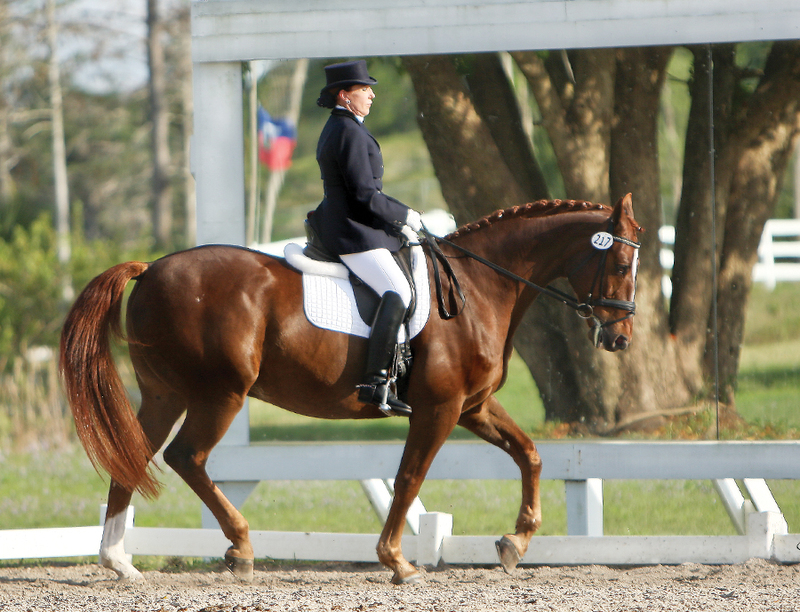 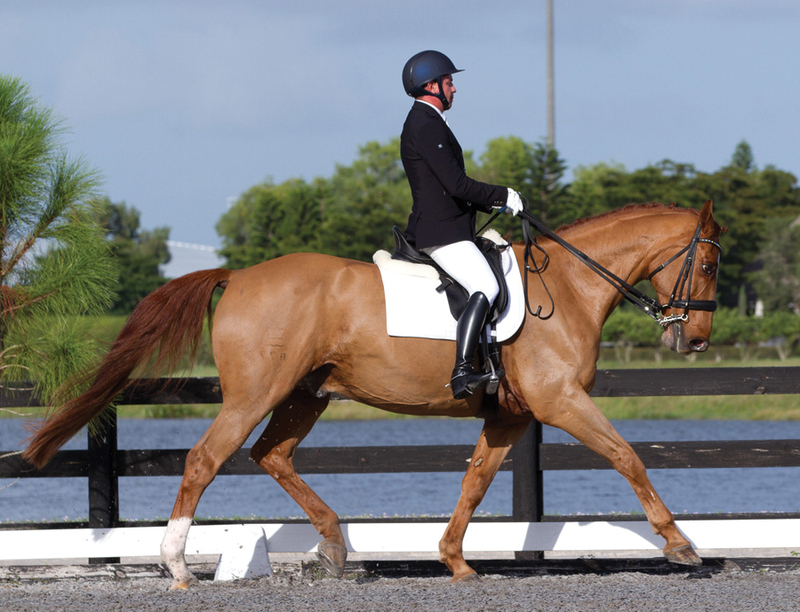 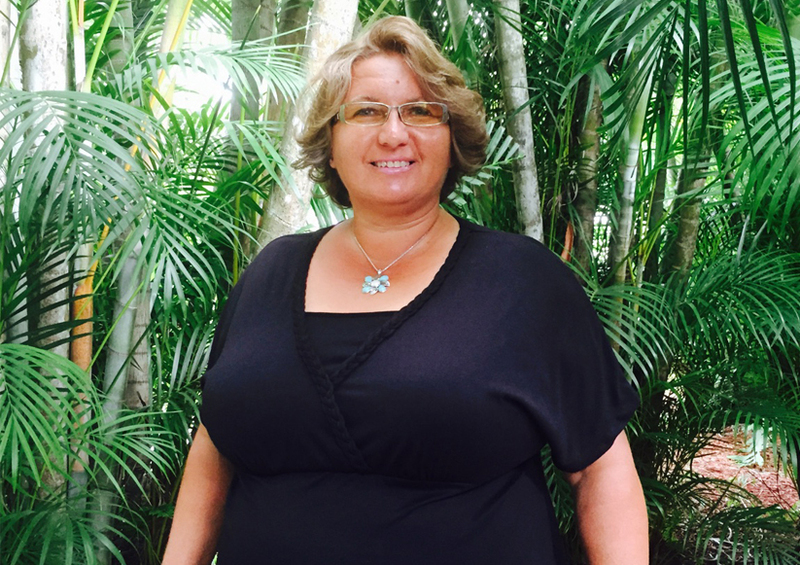 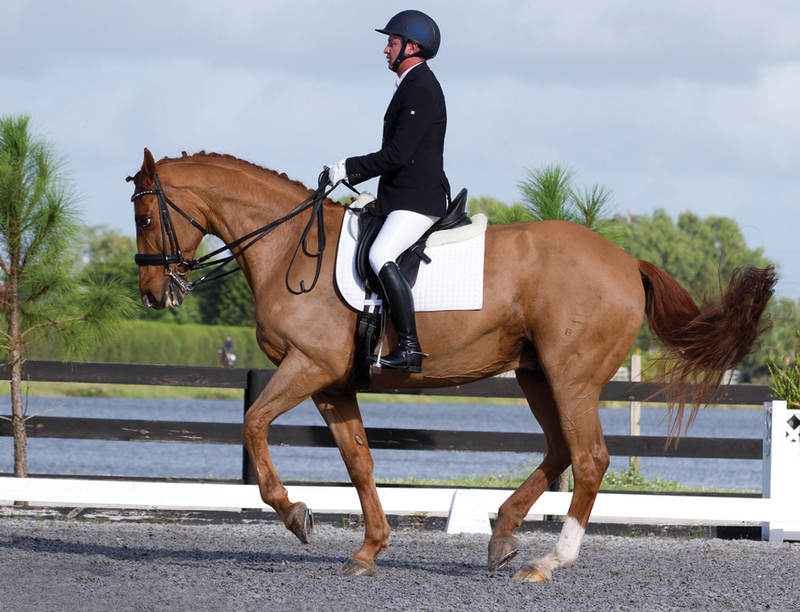 Claudia John has more than 30 years of experience in dressage, hunter/jumper and eventing. 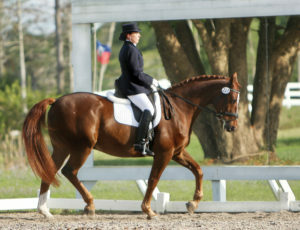 She applies both classical dressage and natural horsemanship to the horse-human interaction. Claudia began riding as a child in her native Germany before moving to the United States. She has worked with many top trainers, including Douglas Mankovich and Barbara Silverman. 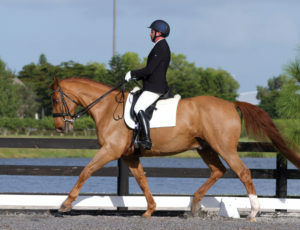 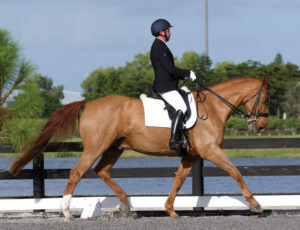 Legacy’s Adrian is a 17.1h chestnut Danish Warmblood gelding who has competed through Fourth Level. 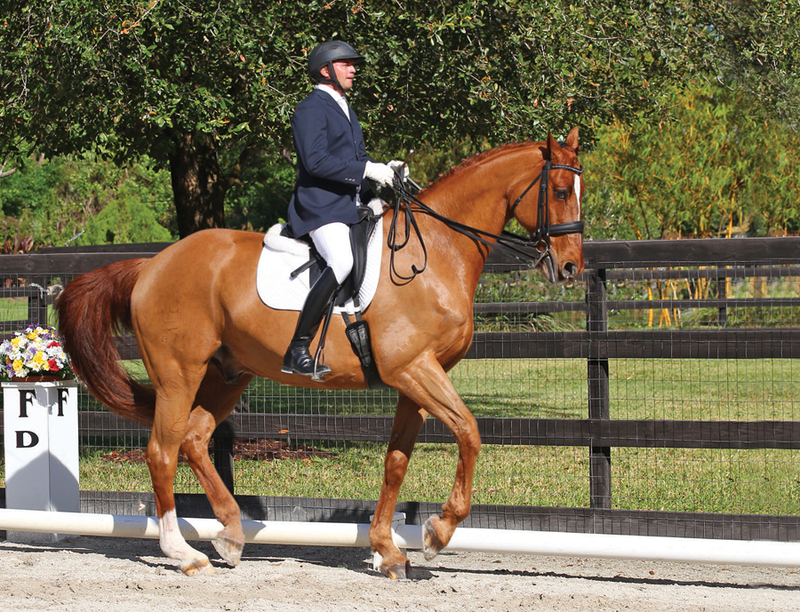 He has an exceptional work ethic and a wonderful nature suitable for teaching his riders the upper level movements. Adrian is also comfortable to sit and easy to ride—the perfect dressage horse.